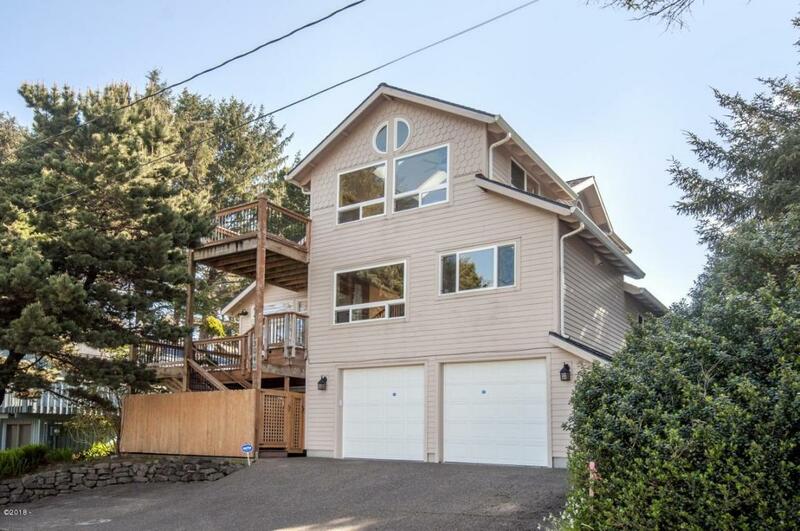 PRICE REDUCTION on this Ocean View home, wonderful woodwork through out Beam Ceilings with fans and Skylights.Kitchen is well appointed with and elevated Bosch Dishwasher, Granite Counters with under cabinet lighting, elevated Island, 2 ovens and Pantry. Bottom floor has Gas Fireplace Murphy Bed, bathroom and laundry and a Chair Lift makes a great Studio or the 3RD bedroom. 3 Levels of Trex decks, one with a hot tub. This home is set-up to enjoy the beach life. Its a must see!